A 2015 survey, commissioned by Ceva, revealed that 60% of vets in the UK, France and Germany were interested in having more advice about the use of the right antibiotics. Responding to this demand, in 2016 Ceva launched the ‘guidance for the rational use of antimicrobials’ (GRAM), a comprehensive, practical, and easy-to-use guide to help ght antibiotic resistance in companion animals. The GRAM guide, at over 550 pages, was developed by an independent panel of 10 experts from 7 European countries. Each of them is an internationally-recognized leader in antibiotherapy. National and international health authorities, such as the world human and animal health organizations (OIE and WHO), have already published many recommendations. The idea behind GRAM is not to compete with these or create yet another document. It is intended as a concrete, practical guide for practitioners. It is based on widespread consensus, and provides clear, precise answers to the questions vets have in relation to rational use of antibiotics in canine and feline surgery and medicine. The book includes 37 factsheets on diseases, 29 practical recommen- dations and 6 synopses dealing with major topics such as ‘key questions before initiating any antibiotherapy’ – , all element which should help people to use antibiotics “as little as possible, only as much as necessary”. The guide was launched at the British Small Animal Veterinary Association (BSAVA) conference, a gathering of small animal specialist vets, held in Birmingham, England in April 2016. It has been published across Europe in several languages to be available to vets in their everyday practice. This book emphasizes the need for carrying out proper initial diagnosis. It also suggests alternatives to antibio- therapy, for example the use of suitable topical antiseptics as the initial choice for the treatment of surface or super cial pyoderma. When antibiotics are justi ed, compliance with treatment by owners is another major challenge: an antibiotic is only e ective if the owner is able to administer a full course of drug to their pet. 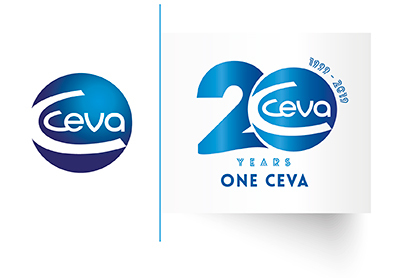 This is why, at the Ceva Sogeval Campus, Ceva has developed the DELICAMENTS® range of highly palatable antibiotic tablets which are willingly accepted by dogs and cats.